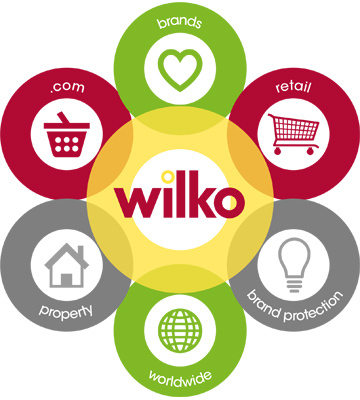 To free ourselves up to focus on product and digital development, we’ve re-organised our business and created a wilko family of businesses. The wilko family of businesses is made up of a number of operating businesses. Lisa is the daughter of Tony Wilkinson, who led the second generation of the Wilkinson family. Lisa started out as a lawyer in Nottingham, Birmingham and London and joined wilko in 2004. Lisa is responsible for the operation of the wilko retail business as well as wilko.com. Lisa is also accountable for HR across the family of businesses. Alex joined wilko in July 2018 and in addition for his finance accountabilities is responsible for property, distribution centres and transport. Alex joined the wilko family of businesses from Asda where he was most recently Chief Financial Officer and an Executive Director Board member for five years. Alex has more than 20 years’ experience of financial leadership in retail including senior roles at Tesco, Kingfisher and Boots, in the UK and abroad. Andrew Moore joined the business in January 2019 as Chief Commercial Officer on the holding board with responsibility for all commercial activities including wilko brands, wilko worldwide and trading within wilko retail. He also has responsibility for inventory and stock. Andrew is a highly experienced buying and commercial director. Previously to joining wilko he was most recently Senior Vice President & Chief Merchandising Officer at Asda with accountability for the procurement, sales and profitability of a multi-billion-pound portfolio of merchandise across all Asda trading divisions. Prior to this he was Executive Managing Director for George. Before Asda Andrew spent 25 years at Marks & Spencer. John was managing director of Bristol Myers Pharmaceuticals, CEO of Cheseborough Ponds, managing director of The Body Shop International PLC and Virgin Group board director responsible for Retail & Leisure. In 2007, John joined Jamie Oliver Group as group CEO. In 2014, John also became chairman of the Rick Stein Group. As well as his role at wilko he is also currently chairman of Game Digital PLC and non-executive director of Playtech PLC, with previous non-executive roles including Thorntons PLC, Luminar PLC and The Restaurant Group PLC. John is a Chartered Certified Accountant. Dalton joined as our third non-executive director to join in late 2016. Dalton is passionate about retail and has spent much of his career in various roles across the globe. His desire for developing people, his belief in building brands (especially own brand ranges for customers) and his support for the wilko long term strategic vision will bring significant value to an already experienced board. Dalton is the chief Executive of daa, the aviation management, travel retail and consultancy business. He is also the non-executive chairman of Ridgeons (the family owned builders’ merchants). © Copyright 2019 Amalgamated Holdings Wilkinson Limited. All rights reserved.